As I mentioned the other day, our team is in Gortys at the same time with the University of Padua team directed by Jacopo Bonetto. Since there is no ceramic specialist with them this year, they asked me to take a look at a few ceramic contexts from the Late Antique phase of the temple of Apollo (Ναός Απόλλωνος) where they excavated a few explorative trenches last year. This is what is normally called spot-dating: have a quick look at diagnostic finds from a context, identify whether there is enough material to provide a significant chronology and output a date range. Usually it is difficult to be very precise with less than 20-30 diagnostic finds, especially with local wares, and “first half of the sixth century AD” is good enough a starting point. 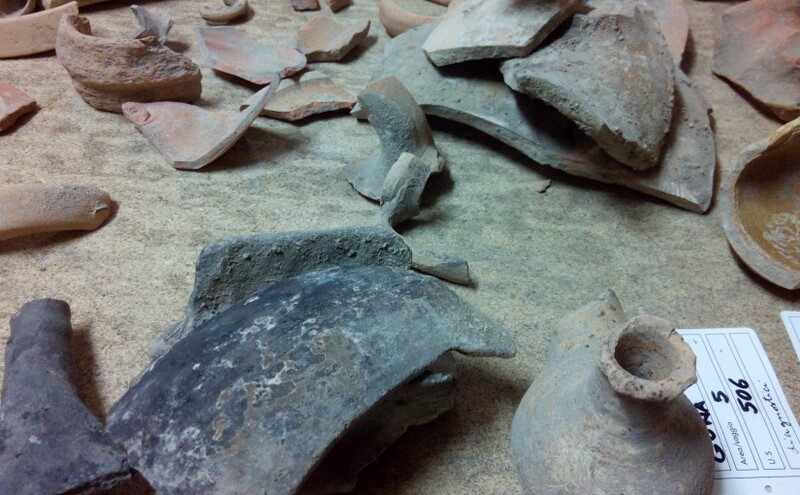 Another recurring issue is with residual material, that is the norm in Mediterranean urban sites because small scraps of pottery as always found in the soil, sometimes centuries older than the date of formation. Residuality is an interesting phenomenon, too often overlooked or “analysed” in simplistic terms because it is rather difficult to model. the earlier contexts are smaller, and more difficult to pinpoint with 1-2 diagnostic finds, either African Red Slip from the 4th century or Eastern Sigillata A from the early 2nd century. All these are floor assemblages, resulting from prolonged use on top of landfills: the difference, in theory, is that a landfill should be dated to a single moment in time and can contain earlier material, while the floor deposit will contain small pieces subject to trampling and walking, ideally from the period when the floor was in use. This distinction is useful in theory but in practice floor surfaces tend to be slightly over-excavated and the finds are all from top part of the lower fill layer. 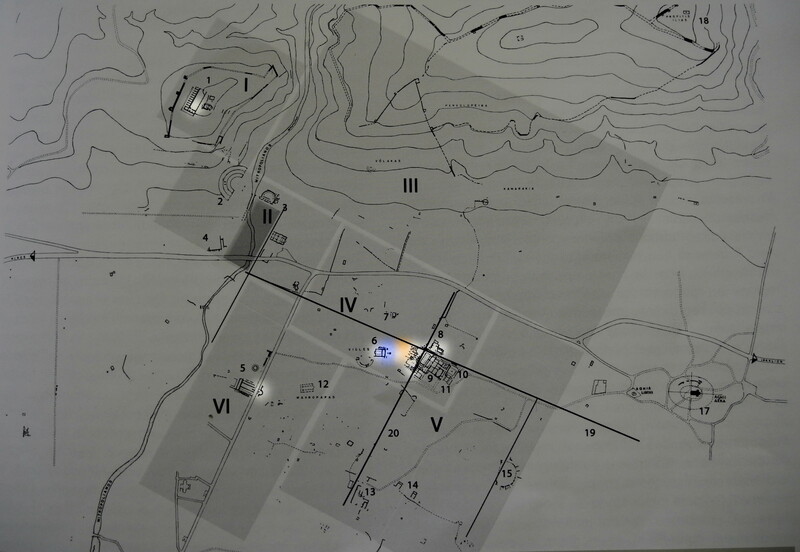 Archaeological map of Gortys: the bright areas are recent excavations with 8th century material; blue spot is the Pythion, orange spot the Byzantine Quarter. To my surprise, there were some beautiful and much larger assemblages from the 7th and 8th century that didn’t interest much to our colleagues from Padua, but were rather sweet for us Byzantine archaeologists! Apart from a very good selection of type-finds (Late Roman D/Cypriot Red Slip Hayes 9, juglet-shaped oil lamps, globular amphorae and their sibling water jars with one handle, Egyptian Red Slip dishes, cooking pots made on the slow wheel, etc) the context as a whole was both tremendously familiar and interesting, so similar to what we found in the nearby Byzantine Quarter / Βυζαντινή Συνοικία. The difference is in the BQ we see traces of people dwelling well into the 8th century, while houses in the Pythion area seem abandoned slightly earlier, thus we might be looking at glorious rubbish dumps from “our” side. It is truly worth a further look.